THE UNEMPLOYED EATER: D.C. Doughnut/Fried Chicken Favorite Astro Celebrating DTLA Opening By Giving Out FREE Doughnuts. D.C. Doughnut/Fried Chicken Favorite Astro Celebrating DTLA Opening By Giving Out FREE Doughnuts. Scott Suchman for Astro Doughnuts & Fried Chicken. FINALLY, something good to come out of our nation's capitol: popular fast casual joint Astro Doughnuts & Fried Chicken will open their first west coast establishment next Wednesday, April 5th in Downtown LA at 516 W. 6th Street. 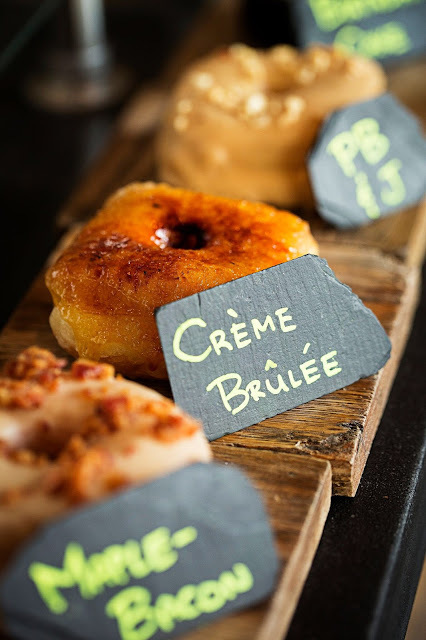 The Pershing Square-adjacent locale will be frying up Astro's beloved Creme Brulee squared dough of awesome along with classic flavors like PB&J and seasonal pastry, alongside fried chicken sandwiches (I have my eye on that Old Bay sando already...), tenders and bone-in options. 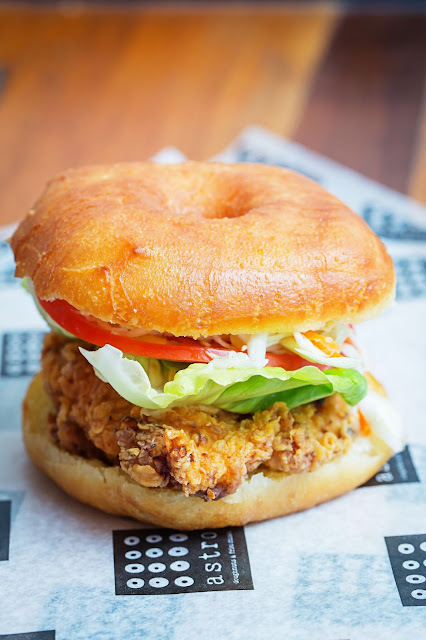 And, as the picture below this post presents, you can even mix business with pleasure via a doughtnut-fried chicken sandwich that most assuredly can't be bad for you, right? RIGHT? To celebrate their commencement, anyone who shows up next Wednesday and demonstrates proof they follow Astro's Instagram (@astrodoughnuts) will receive A FREE DOUGHNUT. Astro Doughnuts & Fried Chicken. 516 W. 6th Street, DTLA. Mon-Fri: 7:30am-5:30pm; Sat: 7:30am-5:00pm; Sun: 9am-3pm.